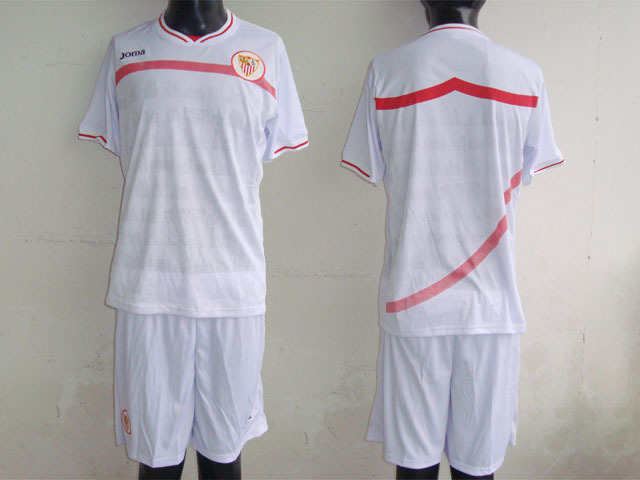 Sevilla FC debuted the 2011-2012 kit this evening before thousands of fans who returned to the Ramón Sánchez Pizjuán after a two-month hiatus. 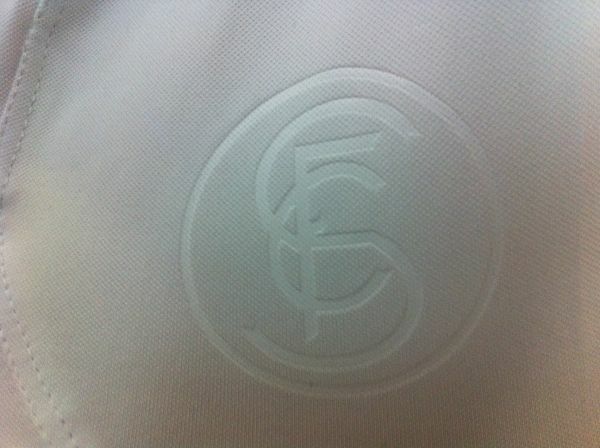 Marcelino spoke briefly about his desire to compete for trophies, a short video was seen that included the only-in-Spain decision to soundtrack a historical club video with the most out of place Antony and the Johnsons’ “Hope There’s Someone,” and the players came out wearing this season’s simplified jerseys. Emblazoned no more is the awkward shadow of the escudo as on last year’s. 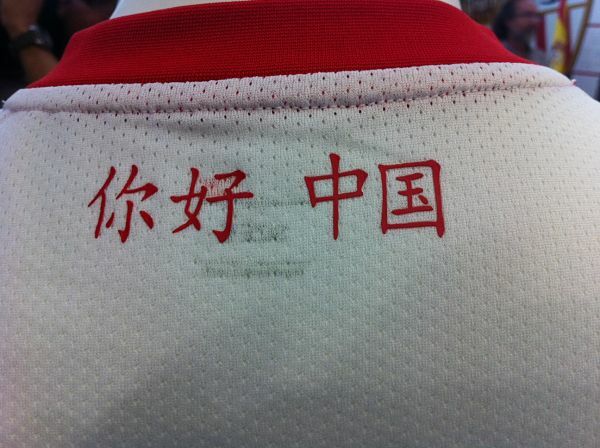 Instead we get simple, classic, austere, etc white with red sleeve-n-neck accents. We get voluptuous red with white sleeve-n-neck accents. We get a third jersey that does NOT make us look like galloping neon signs (sorry, Dabo): just plain ol’ black with red accents. VARAS (we pray) will be a high-potassium plantain back there in goal, parrying shots over the bar with his peels (read: arms). The practice jersey is the final one on display, and worn by new signing Coke on the far left who waves acknowledging his mother’s approval. Note the escudo has been shifted to the left on this one.